This has been a busy week for us at Hot Sauce Nation. I rolled the dice in space with Tharsis, Rex explored the world of FNAF, Mattikus continued to take the Fight to the Streets, AzzA had an old-school Secret about Mana, Ant proved just how Mega his Man was, and we got the whole gang together to Risk some Rain. We hope to continue to make Wednesday night a regular Playdate night and involve our community as much as possible. Stay tuned to the schedule to see what we will be playing next! Now, on to the top stories affecting video games this week. like the Mega Man 1 cover, I'd be all in. For the third time, the spiritual successor to the Mega Man franchise has been delayed. 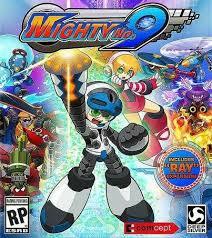 Launched as a Kickstarter campaign by Mega Man creater Keiji Inafune with his new development team Comcept, Mighty No. 9 was funded in under 48 hours with an excited group of backers. Since then it has had a rocky release schedule. The past two delays have been announced mere weeks before the intended launch date. This most recent delay is reportedly due to "bugs...with matchmaking". At this point I'm less surprised about another delay and more surprised about... matchmaking? What even is Mighty No. 9 at this point? I am all for developers taking time to get the game right, but this has to have left a bad taste in the mouth of all the Kickstarter backers who paid and have been waiting for the game for over a year. Especially over a feature they may not have even cared about when backing the project. The new anticipated release date is "Spring 2016". 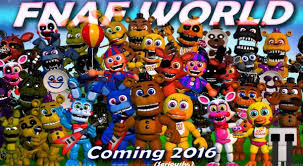 After a surprise early launch, Five Night's at Freddy's World is being pulled from Steam. Its creator Scott Cawthon apologized for the game missing important features and has now removed it from Steam entirely. He has asked that Valve allow all players who purchased the game be refunded their money if they wish. When his update to the existing game is finished it will replace the existing demo on Gamejolt and be free of charge. Anyone who purchased this game at launch should consider contacting Steam for their refund. I'm looking at you Rex! Catherine is nowhere to be seen. EVO 2016 Gets New Details and a New Venue! While the rest of the world is getting excited for the Super Bowl, fighting game fans have a whole other reason to be hype. 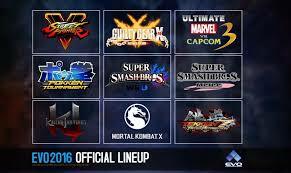 The 2016 EVO lineup and venue have been announced. For those of you who don't know, the Evolution Championship Series (EVO) is the most high profile fighting game tournament on the scene. The nine official games in the tournament are shown here and it will once again be taking place in Las Vegas. Pools through Semi-Finals will be at the Las Vegas Convention Center, with Sunday's Finals culminating at the Mandalay Bay Events Center. Open up the salt mines! EA's old logo just oozes nostalgia. One of the biggest and most controversial studios is now exiting the show floor of E3. Similar to the way Nintendo has moved their press conference in house, Electronic Arts (EA) will be broadcasting and hosting the "EA Play" event in the days leading up to E3. This marks another major player to exit the main floor of E3 following Konami's exit and Nintendo and Bethesda doing their own independent press conferences. This is somewhat surprising considering there are likely to be some major announcements from them this year including Mass Effect: Andromeda and Mirror's Edge. Either way, those are some big shoes to fill on the E3 show floor. Because apparently "Pawn Store" seemed tacky. Watching a market you built an empire on disappear into the digital ether must be hard. 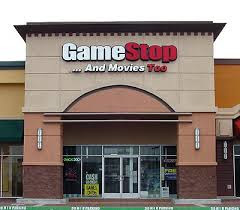 Gamestop has been trying to find ways to diversify their portfolio for at least 5 years now. Buying flash gaming site Kongregate, opening cell phone trade-in stores, and now publishing video games. Partnering with Insomniac (of Spyro/Ratchet & Clank/Resistance fame), they are working as publishers on a new game called Song of the Deep. Set to be released digitally, Gamestop will also exclusively carry the physical disc of the game. This is a strategic risk and we will see how it pays off. My guess is that they will try and get you to pre-order it. I'm looking forward this years FGC tournaments with Street Fighter V coming in a few weeks. Eva 2016 will be hype this year!